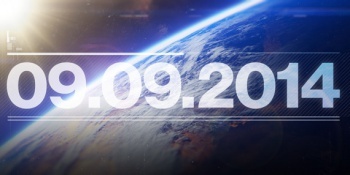 The worldwide launch date for Destiny will be September 9, 2014. The way Bungie talks about its upcoming Destiny shooter, you'd think it was still quite a ways off. Fortunately, it looks like it's closer than we all thought, with the developer announcing that the worldwide launch of Destiny will happen on September 9, 2014. The PS4 and PS3 were specifically mentioned in the announcement, although the game is also due to come out on the Xbox One and Xbox 360. "Today, in partnership with Activision, we are proud to announce that the worldwide launch of Destiny will happen on September 9th. Accordingly, the Destiny Beta will kick off in the summer of 2014, available first on PlayStation 4 and PlayStation 3." The developer also took the opportunity to give us a bit of insight into how Destiny has evolved since it's announcement. "We first shared the design pillars of Destiny less than one year ago," said the developer in an official statement accompanying the announcement. "We promised to redefine what players should expect from a Bungie game. We said we wanted to change the way people play games together. We set our bar high. For us, Destiny represents a once in a lifetime opportunity." "Only through great risks are great things truly achieved," it added, implying that breaking away from Microsoft to make a sci-fi shooter was a massive risk for the company to make. Bungie is best known for the Halo series of sci-fi shooters. Previously, Bungie stated that The PC version of Destiny will have to wait, as it did not want to spread itself thin by working on too many platforms at once.